When freezers don’t work right, they usually leak. Their temperatures are often incorrect and so food will eventually melt down. There is a lot at stake when such problems occur and that’s why our team at Appliance Repair Perth Amboy helps you as fast as possible. We arrive in well-equipped trucks in order to replace broken valves, coils, fans or compressors. If any freezer component is damaged, it will stop the proper cycle of the refrigerant. Problems like that can cost you in property damage, hassle, energy, and tossed food. That’s why you should always reach out to us and depend on our Perth Amboy freezer repair services. 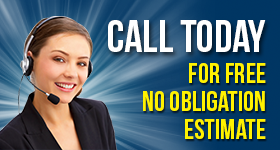 If you are a resident in Perth Amboy, New Jersey, and have freezer issues, give us a call. We deal with such nightmares effectively. Our technicians are updated pros and extensively equipped to troubleshoot and repair your home freezer. Most of the times, issues are caused when components are broken or clogged. But sometimes freezer repairs might only include a few minor fixes and adjustments. In either case, you can count on our quick response and expert diagnosis. Do you have a problem with your freestanding freezer? Is there something wrong with the whole fridge/freezer/ice maker unit? Rely on us to fix your kitchen unit to your satisfaction and in a timely manner. We can take care of ice makers, are definitely fridge experts, and can take care of any freezer issue. The first step is to identify the origins of a leak and any other problem. Then we utilize our spares and experience to fix the appliance. Dirty coils can significantly affect the way your freezer works. So don’t let the freezer un maintained for long. Call us to routinely inspect and service it. We can save you a lot of wasted time but also energy with our routine home freezer repair work. You can also call us just to replace the gasket of the unit’s door. 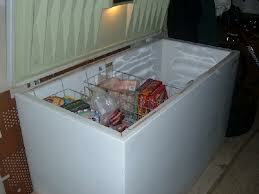 Count on our help each time there is an urgent or routine need for freezer repair in Perth Amboy, NJ.